As you can see, the shades are so so similar, so if you're on the lookout for this kind of shade, but couldn't get the NARS limited edition shade, try out the Milani one! You can actually get Milani on Amazon in the UK for a bargain £3.69. 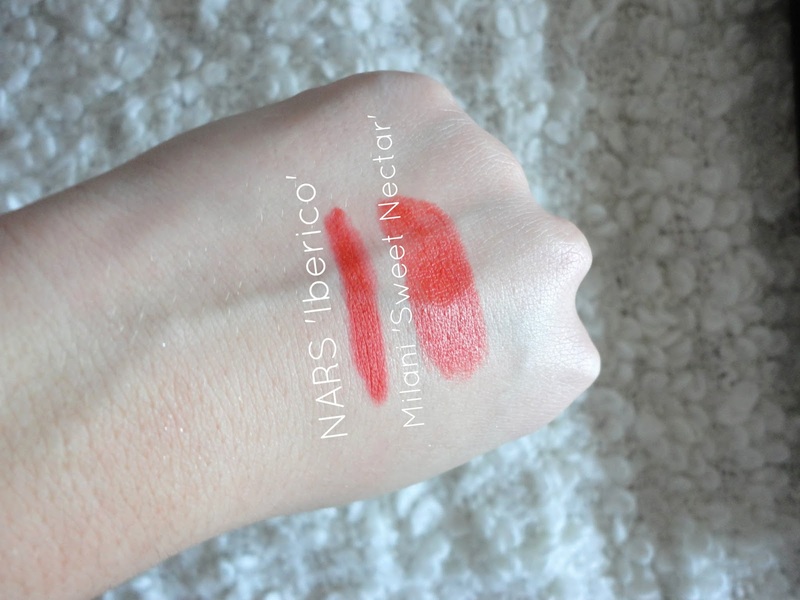 The formula of the two are slightly different, with the NARS one obviously being matte, whereas the Milani one does have a slightly creamier, satin finish, but it is still really pigmented and has fairly good lasting power - I would compare them to the Rimmel lipsticks. What do you think of this dupe? Let me know if you have any of your own in the comments!